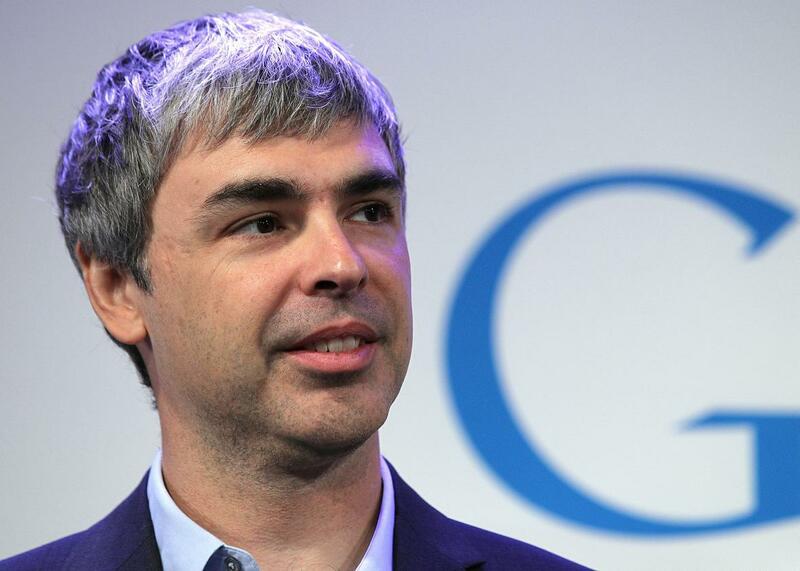 Alphabet, Google's new parent company, is a terrible name. Sorry, Larry Page. After naming the Google parent company Alphabet, Larry Page really owns the letter G.
In a surprise Monday statement, Google announced it will subordinate itself to a newly created parent company named Alphabet, whose holdings will include former Google departments like its experimental research and fiber optics arms. The tech world immediately went aflutter in an attempt to explain the restructuring—while accepting with a straight face the craziest part of the whole deal: Alphabet? What kind of a name is Alphabet? “One of humanity’s most important innovations,” wrote Larry Page, the umbrella company’s CEO. Other considerations we should be thankful they didn’t go with: Wheel. Fire. Antibiotics. But then those would never have worked—too small. Alphabet is undeniably a savvy name, larded with symbolism, freighted with meaning. What, exactly? Anything and everything: It’s the alphabet! It’s “the core of how we index with Google search!” Page added. “We also like that it means alpha-bet (Alpha is investment return above benchmark), which we strive for!” So many interpretations! The problem with the name Alphabet is that it is banal to a menacing degree, a play for universality that ends up meaning nothing at all. What dooms it is the distance between how flat the word is aesthetically (say it 10 times fast and watch your mood drop), and its naked ambition as a marker of greatness, the kind you get when you ask your nephew, “What kind of superpower do you want?” and he replies, “All of them!” Your nephew is 17. That’s why Google’s transubstantiation into Alphabet is a bully move, made more so because of the company’s size and importance. Nearly gone are the simple days when you named an enterprise after yourself (“Abercrombie & Fitch” remains one of the most delightful things to say, however odious the brand), or stated clearly what you do (the beautiful run of syllables that is “American Telephone & Telegraph”). The Super-Google could have called itself anything it wanted. So naturally it has made the the biggest semiotic land grab it could, and simply crowded out all the previous squatters who previously made the mistake of using the word. But one of those squatters is us—and the name we use for the building blocks of our language has now been partially co-opted. Orwell would not be surprised. Who can stand up for the original alphabet? Certainly not the greatest repository of information the world has ever known (not the dictionary), which is now owned by the other Alphabet. As of this writing, Google still displays the definition of alphabet when you search for the term. But right below that are pages and pages of its own self-generated news. (See also: the 10 pages it takes into a search for apple to get a reference to fruit.) The new Alphabet is already replacing the old alphabet, and yet another word—a very important word—that was once in the common purview recedes further into the distance.